Christmas at Tatton Park is set to be an exciting time as the Roald Dahl theme continues to permeate the park. We last visited over Halloween at half term and had a great time. For a limited time only from Monday 21 November, enter a festive world where Dahl's extraordinary story telling weaves itself through the grand staterooms and in to the bustling servants’ quarters. As part of a year-long programme of events to celebrate 100 years since the beloved author’s birth, visitors will be able to access over 13 different rooms in the Mansion – with each room being inspired by a different Roald Dahl tale. Step inside the grand entrance and enter the purple and gold-coloured world of Charlie and the Chocolate Factory. Inside the yellow drawing room, The Witches take over – with a large bubbling cauldron and a broomstick tree. Listen out and you might hear a very special witches themed Christmas carol. Mr Fox and all of his woodland friends are feasting in the dining room – expect a Christmas dinner scene like no other! Visitors can accompany The BFG as he visits Buckingham Palace in the drawing and music rooms – and meet bookworm Matilda in the library (and watch out for the dreaded Chokey in the Housekeeper’s room). The Twits, Danny The Champion of the World and George’s Marvellous Medicine also have their own special areas – and woven throughout the Mansion is ‘Ode to Mother Christmas,’ a poem composed by Dahl in 1988 for Great Ormond Street Hospital. Visitors can also enjoy the Roald Dahl Biography and front covers from around the world displays in the exhibition room, live festive music and family activities. Tatton staff inspired by Roald Dahl’s Mother Christmas will be on hand to give out treats and delicacies including a festive treat for all to try. Tatton is working with three different design agencies, Springbank, Joseph Massie and Flyby to create this magical transformation. 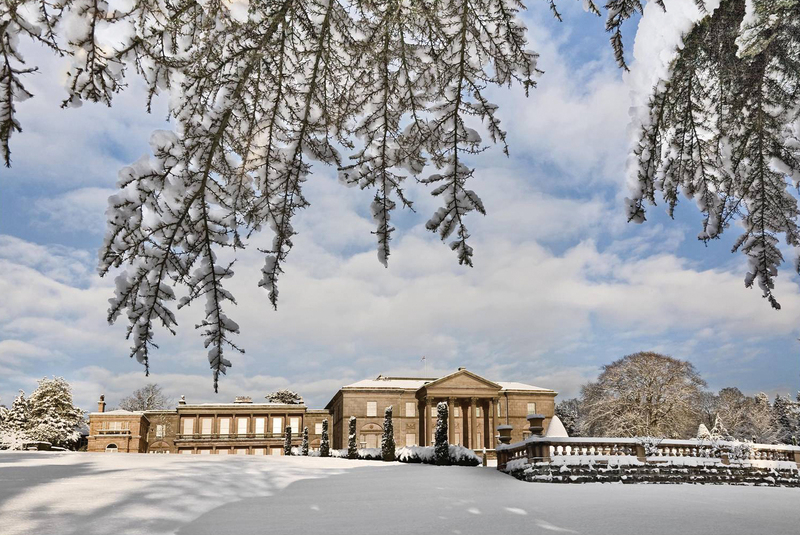 Carolyn Latham, Tatton Park Mansion and Collections Manager, says: “We’re so very excited about this year’s Christmas attraction. The Roald Dahl theme has given us so much to explore and we were spoilt for choice when it came to selecting the scenes. Tickets for the Christmas event are priced at £9.50 for adults and £5.50 for children (exclusive of car entry, priced at £6). Price also applies to NT members. I am able to offer one lucky family the chance to win entrance tickets to Tatton Park's Glorious Mansion, farm and the gardens. The prize is for a family entrance ticket to admit two adults and up to three children. Visit Twinmummyyummy's Facebook page and Like the page, via the Rafflecopter widget below. This will be verified and is a condition of entry into the giveaway. ◾The prize is listed above. No cash alternative. ◾Twinmummyyummy is not responsible for providing the prize, should the brand not. Father Christmas and his reindeer will be spending weekends down at the Farm with all his farmyard friends. You will get chance to meet two of his real reindeers Prancer and Dancer who are in training ready for the big night on Christmas Eve. There is a real nativity with resident donkeys Frosty and Huw, live music and Christmas storytelling each day. There is also Aunty Mary by the fireside in the cottage making salt dough decorations for you to take home. There will be children’s entertainers, face painting and not forgetting the hugely popular Reindeer trail, so join us for all the festive fun on the Farm. All children will receive a gift from Santa to take home. Father Christmas at the farm is open from 11am until 4pm ( last entry 3pm) on Nov 26 & 27, Dec, 3, 4, 10, 11, 17 & 18. Adult and child tickets £6 (including your gift), car entry £6. Price also applies to NT members. The festive Stableyard will be welcoming Kind Edward’s Musical Society and Choir on Sunday 18 December at 3pm. Guests are invited to sing their favourite carols with friends and family and enjoy warming winter treats in the restaurant. For those in search of a Christmas market, a wide range of artisan suppliers offering special gifts, stocking fillers and festive essentials, will be onsite on Friday 25 November (11.30am until 6pm), Saturday 26, and Sunday 27 November (10am until 4pm). Free admission in the Tenant’s Hall. *I am an ambassador for Tatton Park in Cheshire, however, all opinions are my own.